In addition to gerrymandering, legislators also plan to move forward with their ultimate power grab: a constitutional amendment taking away the voters’ power to choose judges and giving it to the legislature. The greatest threat to judicial diversity may be handing over the reins of the judiciary to a legislature that has suppressed black voters. In recent years, North Carolina has become the epicenter of the fight against voter suppression. The courts have protected voters’ rights, and judges of color have played a key role.21 Proposals that would eliminate the voices of judges of color cannot be interpreted as mere coincidence but rather as part of a broader effort to eliminate the political power of people of color in North Carolina. Former North Carolina Supreme Court Justice Bob Orr, also a Republican, has criticized these power grabs and suggested they are motivated by lawsuits over the 2011 redistricting maps.34 Justice Orr said these bills are intended as a message to judges that they should rule the way that politicians want.35 Some North Carolina legislators want judges on the bench who will not strike down the maps that clearly favor their political party. 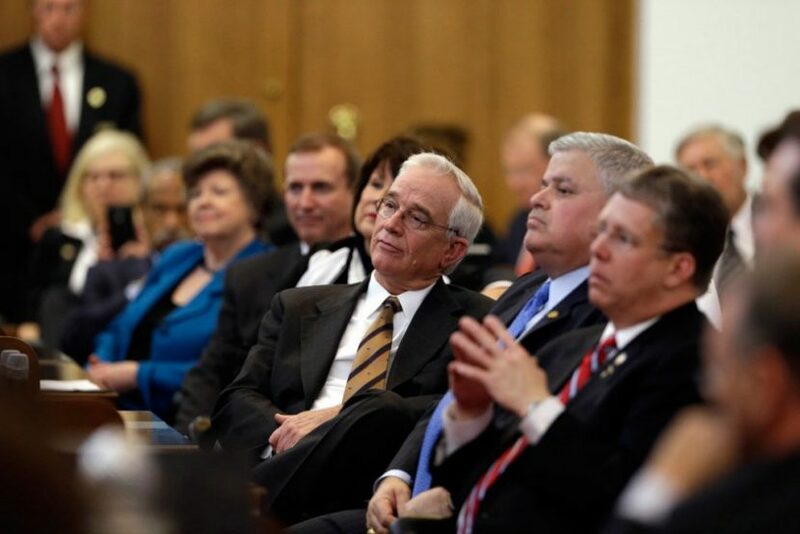 North Carolina’s voters, its legal community, and judges from both parties supported the public financing program.66 Supporters pointed out that it opened up avenues to the bench for candidates who might otherwise lack connections to wealthy donors.67 For years, the state spearheaded the movement to keep money from flooding into state judicial elections. North Carolina ended partisan judicial elections at the same time the public financing program was created.81 At the time, the handful of state supreme courts that were elected in partisan races had seen an explosion in campaign cash.82 The legislature is now rolling back the two reforms intended to keep this trend out of North Carolina. These changes to judicial elections open the door to more inequity in the system and a marginalization of candidates lacking the connections to networks that often preference wealthy, white candidates. The judicial gerrymandering bill could undo much of the progress that the state has made towards ensuring that its court districts comply with the Voting Rights Act. The bill could resurrect the previous disparity that violated the act. If the judicial gerrymandering bill is enacted and challenged under the North Carolina Constitution, the North Carolina Supreme Court would make the final decision about whether it is unconstitutional. North Carolina’s courts already do not reflect the population. North Carolina ranked 37 in terms of judicial diversity in the American Constitution Society study. White men—less than one-third of its population—make up two-thirds of its judges. Unfortunately, few systems for choosing judges have been effective at fostering diversity.121 The Obama administration made important strides at the federal level, but President Donald Trump seems to be intent on reversing that progress through his appointments, 75 percent of which have been white men.122 North Carolina’s public financing program showed promising results for diversity, but the state courts remain unrepresentative. Given the racial and ethnic makeup of the General Assembly and its repeated attempts to discriminate against black voters, legislative selection would likely exacerbate racial and ethnic disparities in the state court system. This legislature cannot be trusted to pick judges who reflect the communities they serve. North Carolinians need independent, representative courts whose institutional strength will come from a plurality of views—with a shared commitment to fairness and justice. Billy Corriher is the deputy director of Legal Progress at the Center for American Progress. Michele L. Jawando is the vice president for Legal Progress at the Center. Lukasz Grabowski is an intern with Legal Progress and a senior at Johns Hopkins University.